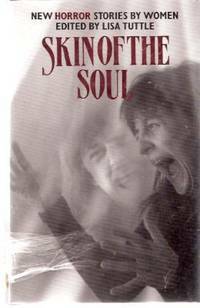 In the dim and distant past, I edited an original anthology of horror stories called Skin of the Soul. Most of the stories were new (there were two reprints) and all of the contributors were women. What sparked my decision to do it was an all-male horror anthology published a couple of years earlier to much acclaim: Prime Evil, edited by Douglas E. Winter, was a showcase for “the masters of modern horror”, and Winter’s introduction was dedicated to the argument that horror is not a genre but an emotion, to be found throughout all literature,from high to low. 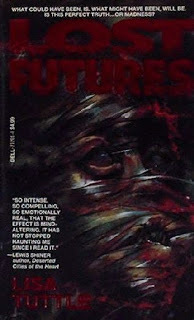 I agree; I don’t care much for generic “horror”, even if I prefer it to generic “romance”, and although I’ve written a lot of horror stories, and most of my novels have some element of horror in them (one, Lost Futures, published as horror in the US, was nominated for a science fiction award in Britain) I’m not that comfortable identifying myself as a “horror writer”. The writers Winter invited to contribute to his anthology included nearly all the big names of the time (Stephen King, Peter Straub, Clive Barker) but also lesser-known writers (Jack Cady and Paul Hazel). Even the introduction, pointing to the many sources of horror in the mainstream, gave a name-check to just one woman writer throughout literary history. So I was horrified – not in a good way – by this compilation of horrors, and daydreamed about selling my own anthology, inviting a list of excellent writers to contribute, writing my own erudite introduction about great horror fiction of the past. If anyone pointed out that all of those writers were women, I’d act surprised, pretend it was just the luck of the draw, these were the best stories submitted and naturally the examples I chose were my personal favourites. I certainly did not set out to deliberately exclude men; there were lots of good male writers, but now that I came to think about it, not many of them wrote horror. I mean real horror, genuinely well-written and original, not that childish gross-out stuff, not those tired generic clichés, not dreary old male fantasies, but the kind of thing I wanted to read, because, after all, it only counts as horror in my book if it fits my definition… and I reserve the right to change the rules whenever I like. “Literary” authors are given a pass time and again, not tarred with the genre brush (it’s “magic realism” or “speculative fiction”) and it pops up in discussions and reader reviews all the time: “I don’t call this horror.” “This is all about atmosphere and character and not scary at all.” “Maybe works as literature, but not as horror fiction.” “Vampires wouldn’t do that.” Etc. Critics may praise authors who “push the boundaries” or subvert expectations, but these are the very actions that can make the dedicated genre fan feel cheated, and respond angrily, as if when they ordered chocolate ice cream, they’d been served a bowl of extra-hot chilli. When, more than twenty years after the publication of Skin of the Soul (“which proves indisputably that horror fiction is not a male preserve”, or so said Clive Barker in 1990) , I find that women are still fighting that old battle, still having their contributions to horror ignored or forgotten, I wonder if this isn’t – at least partly – something to do with definitions and expectations of genre. And with who is defining it, and why. Myself, I’ve never limited my reading to one type of fiction, and I don’t write novels that fall neatly into a narrowly defined slot, either. (Maybe this is my problem!) 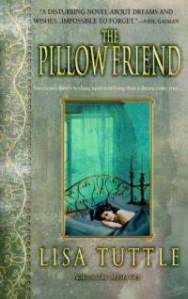 There are some readers for whom genre fiction is comfort food, and they don’t want any nasty surprises when they’ve snuggled down to read – even in a genre celebrated as the purveyor of nasty surprises. Maybe, for some readers, it doesn’t count as horror unless the author plays by certain rules, unless the story is purveyed via the male gaze, and the name on the title page does nothing to break the illusion that we’re all boys together in this clubhouse. Lisa Tuttle is an acclaimed author whose achievements include winning the International Horror Guild Award, a BSFA Award, and most recently the Grand Prix de l’Imaginaire. 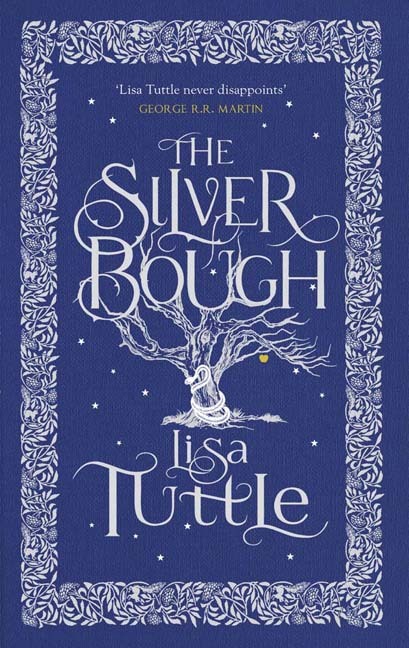 The novel The Silver Bough is just out in a new paperback edition from Jo Fletcher Books. I’ve got a copy of Skin of my Soul on my book shelf and I’m very much looking forward to reading it. Thank you!